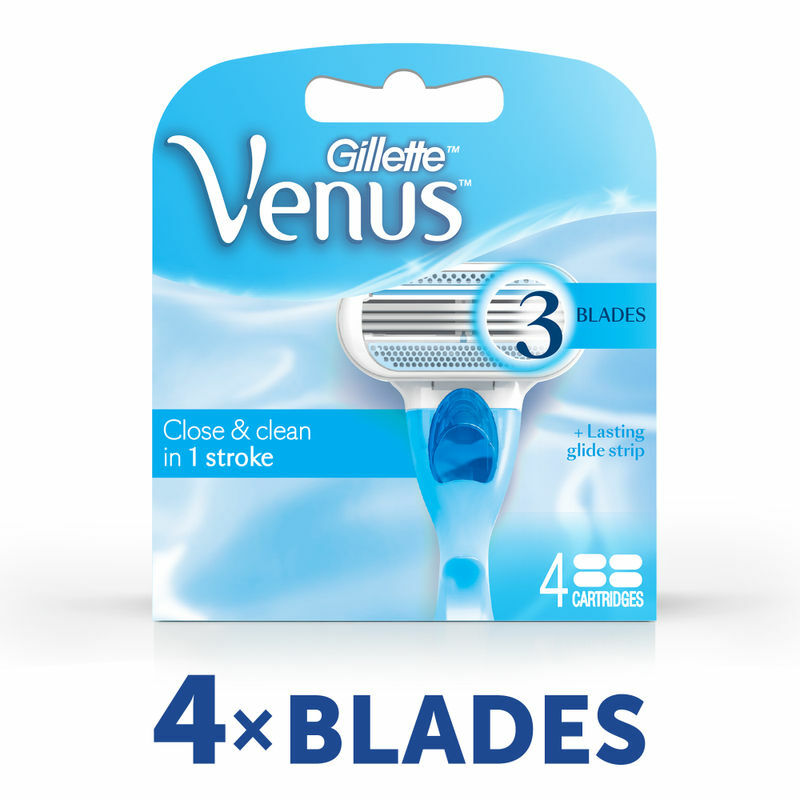 Gillette Venus Cartridge- 4 pack has the specialty of protective cushions around its three blades. Enjoy a smooth, nick-free and perfect shave with the perfect pivoting rounded head and easy access to hard to shave areas; all of it in one stroke. Rest assured, that all the cartridges are interchangeable! This also features a shaving compact, perfect for in shower storage! Obtain clean and dry freshness, even in the shower. The soft-grip handle is the perfect formula for slip-proof control. Forget handling sharp uncomfortable razor blades- just detach this one when you see the faded lubricating indicator strip, indicating no more optimal use. Explore the entire range of Shaving & Hair Removal available on Nykaa. Shop more Gillette products here.You can browse through the complete world of Gillette Shaving & Hair Removal .